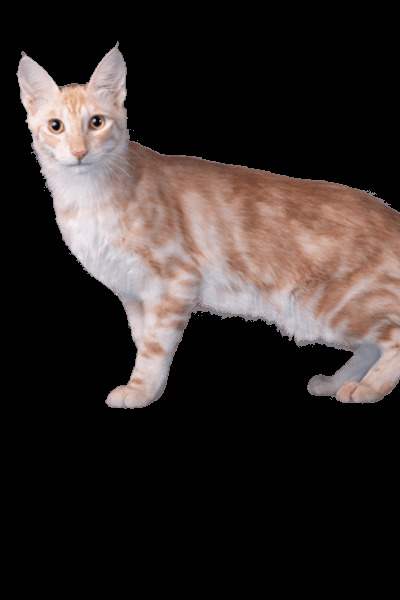 Looking for a Turkish Angora? The French royalty favoured this cat breed for its apparently beautiful and graceful appearance. The Turkish Angora, which is from the snowy mountains of Turkey, is one majestic-looking feline that is energetic and playful. It is intelligent and very much involved in its human’s goings-on. It is good with children and is a wonderful family pet. Turkish Angora facts are rather fascinating, just like the breed itself. It is an old breed and has been believed by some to be the originator of the long hair gene in all domestic felines. This mesmerising kitty has been documented as far back as the 16th century. It was, in fact, used in the development of the famous Persian cat in the 1900s. However, some suspect it came from the African wildcat. Sometime in the 1900s, the Turkish Angora seemed to have disappeared. As it was highly prized by the nation, a breeding programme was set up in order to keep the breed alive. The Ankara Zoo served as the hub of this preservation effort. Initially, there was no desire or intention to export this cat to other countries. However, an American colonel was permitted to own a pair of Turkish Angoras in the 1960s. These felines later became the foundation of a Turkish Angora breeding programme in the US. This occurrence was followed by a surge in interest in these cats and further exports to other nations. In the UK, this long-haired feline has not yet been acknowledged by the GCCF. However, various international breed organisations have acknowledged the Turkish Angora. How to identify a Turkish Angora cat? Compared to the Persian, it is smaller, with a body size ranging from small to medium. Its features are also rather delicate and its coat silky and long. It does not have an undercoat and is thus not very dense. Its head is also small to medium in size and is of a modified wedge shape. Its tufted ears are set high and its large, almond-shaped eyes have a kind expression in them. The eye colour can be any hue and combination, although the most common are yellow, green, and blue. On some kitties, each eye may have a different colour. It also has been noticed that the side with the blue eye tends to be deaf whilst the other coloured one is not. This cat’s body is long, slim, and finely boned. Its shoulders are of a similar width as its hips, with a rump higher than its shoulders. The long legs are also finely boned and sleek, with the hind legs longer than the ones on the front. Its paws are oval and small, whilst its tail is plumed and rather wider at its base. Overall, it can be said that this cat’s physique is like a ballet dancer’s. Its beautiful, silky coat is semi long and soft to the touch. As it lacks an undercoat, the Turkish Angora’s fur is not likely to tangle or mat. As such, grooming is a rather simple enterprise with this breed. The coat can come in one of a wide range of colours. However, it is best known in its white coat. The Turkish Angora is very social. It is very outgoing, playful, and athletic. Although it is devoted to its people, it tends to form a strong bond with a specific family member. They are usually the ones who care for it most. This feline is rather doglike in its conduct. It can play fetch and even respond to voice commands. However, being a very involved and helpful pet, it craves attention and will not like being left alone for long. It can also vocalise a lot. As an energetic and intelligent kitty, it needs to engage in a lot of play in order to keep it happy and occupied. It can play fetch. It likes to climb up high points in the home to supervise the goings-on. This cat is good with children and even other pets. As such, it is a fantastic choice of a feline for families. The Turkish Angora should be provided a nutritious diet that fulfils its daily requirements. It should be consistently given the same food following the same feeding times. If there are changes to its diet, those must be done gradually to prevent digestive problems. The serving portions should depend on this cat’s weight, age, and activity level. Its meals must include at least 25% protein and just 5% carbohydrates. This kitty must be monitored for signs of weight gain. Its long hair makes it difficult to tell on sight whether it is still within its recommended weight range. A well-bred kitten from responsible Turkish Angora breeders will cost no less than £150-£200. Since this cat is rather few in the UK, prospective owners will need to be put on a wait list. Average insurance expenses would cost £16 (basic) or £24 (lifetime) monthly. Food costs may range from £15-£20 each month. For vaccinations, boosters, annual checks and other veterinary costs, pet care costs may add up to more than £600 each year. On average, a Himalayan owner will spend about £40-£60 per month. The insurance costs can also affect this estimate. For its entire lifetime (12-18 years), the expenses can be as low as £5,760 to as high as £13,000 overall. This estimate does not include the initial costs incurred in acquiring this cat. Is a Turkish Angora Right for You? This lovely feline is a healthy breed with few issues and a long lifespan. Its affectionate and playful ways make it an endearing pet for families. Its high energy and intelligence require more mental and physical stimulation. The Turkish Angora is easy to groom as its coat is not prone to tangling or matting.